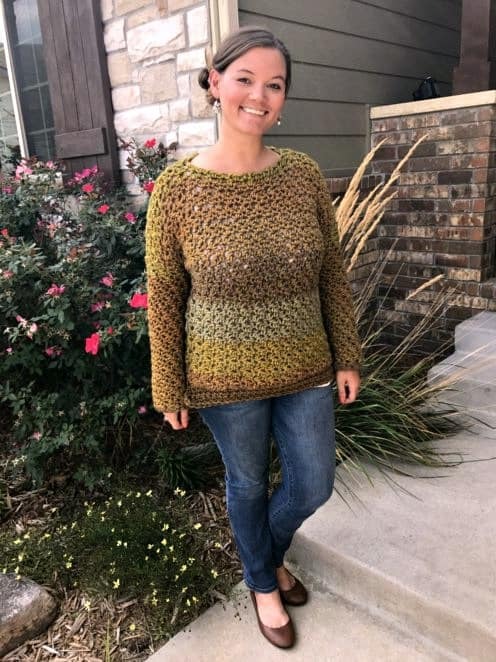 Here’s a twist on an old family favorite. 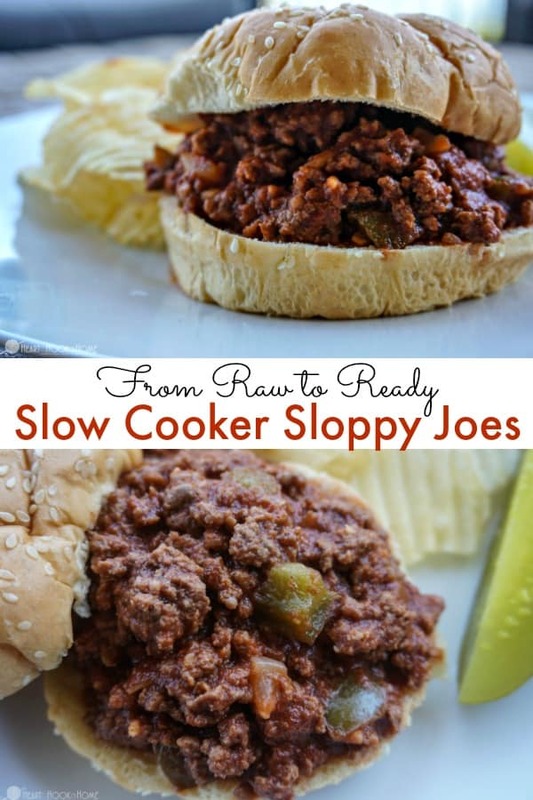 Slow cooker Sloppy Joes! This recipe calls for RAW hamburger, it simply doesn’t get any easier! You don’t have to cook the hamburger before putting into the crock-pot. This recipe will make enough for roughly 10 sandwiches. And yes, you can double the recipe and FREEZE the leftovers! *find the printable version of this recipe below. 1 additional can of tomato sauce, 1 tsp chili powder, and 2 tsp Montreal Steak Seasoning. Add ground beef into the crock pot and break up the beef. Add in the remaining ingredients EXCEPT the can of sloppy joe sauce (if you’re doing completely homemade, save 1 can of the tomato sauce). Give it a stir to combine well. Cook on medium for 6 – 8 hrs. When ready to serve, drain the top liquid off. Either remove the crock-pot insert and pour out the extra liquid or use a large spoon and spoon it out. It’s important to remove as much liquid as possible so you have a nice thick sauce. Once the liquid has been removed add in the can of sloppy joe (or tomato sauce) and give it a stir! Serve on hamburger buns. Enjoy! 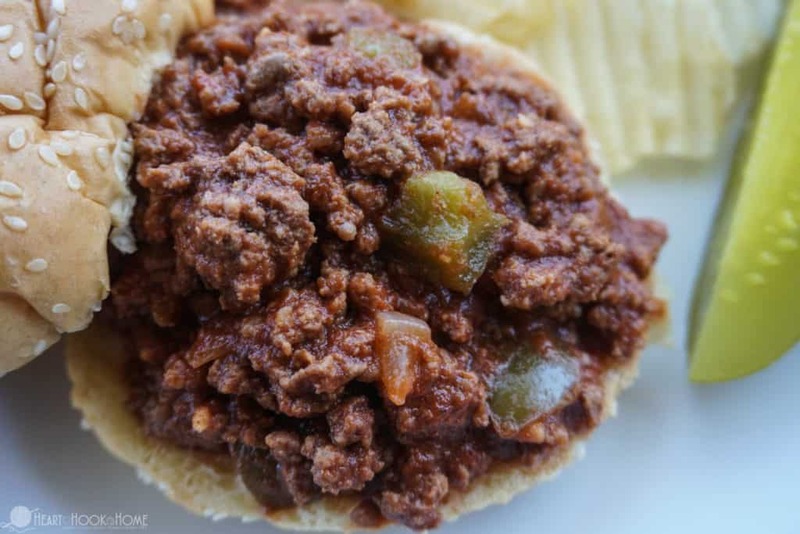 If you want completely homemade, simply omit the can of sloppy joe sauce and use the following instead: 1 can tomato sauce, 1 tsp chili powder, and 2 tsp Montreal Steak Seasoning. Add ground beef into the crock pot and break up the beef. 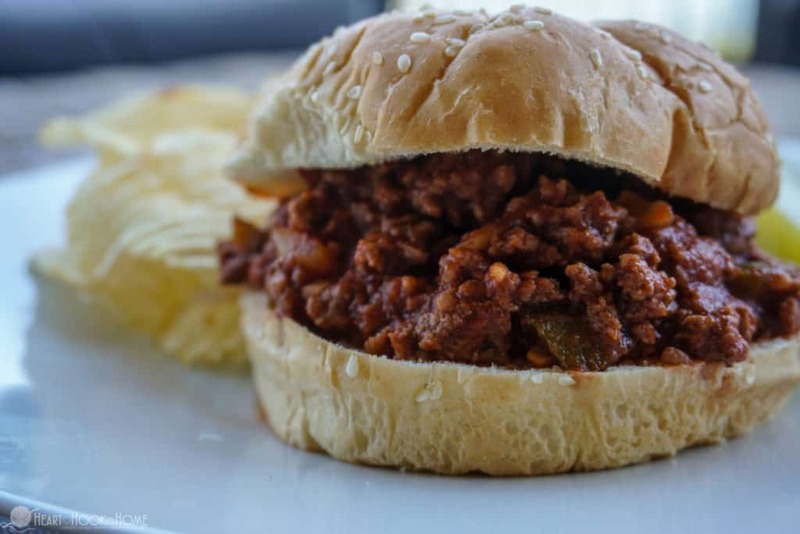 Add in the remaining ingredients EXCEPT the can of sloppy joe sauce (if you're doing completely homemade, save 1 can of the tomato sauce). Give it a stir to combine well. Cook on medium for 6 - 8 hrs. When ready to serve, drain the top liquid off. It's important to remove as much liquid as possible so you have a nice thick sauce. Once the liquid has been removed add in the can of sloppy joe (or tomato sauce) and give it a stir! Serve on hamburger buns. Enjoy! I love to use my slow cooker, especially in the summer months to keep from heating up my kitchen with the stove or oven. This recipe is perfect! So, to make it completely homemade, is it an additional can of tomato sauce, 1 tsp chili powder, 2 tsp of the montreal seasoning, in addition to what the recipe already calls for? Yes, it would be 2 cans total. This was super helpful when my stove wouldn’t work during the outage! What size of can of tomato sauce? Hello! Thanks for pointing that out. :) I do the 15 oz can, not the smaller (8 oz) can. Yum-O! I love crock pot meals! I'm making this recipe this week. Thanks for sharing! Ok so I'll never make sloppy Joes any other way. So yummy! 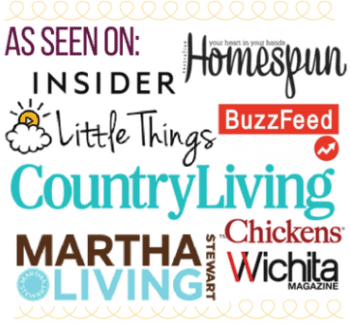 Thanks for sharing all the great recipes. I especially love crock pot ones.